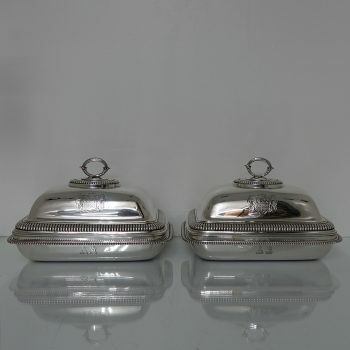 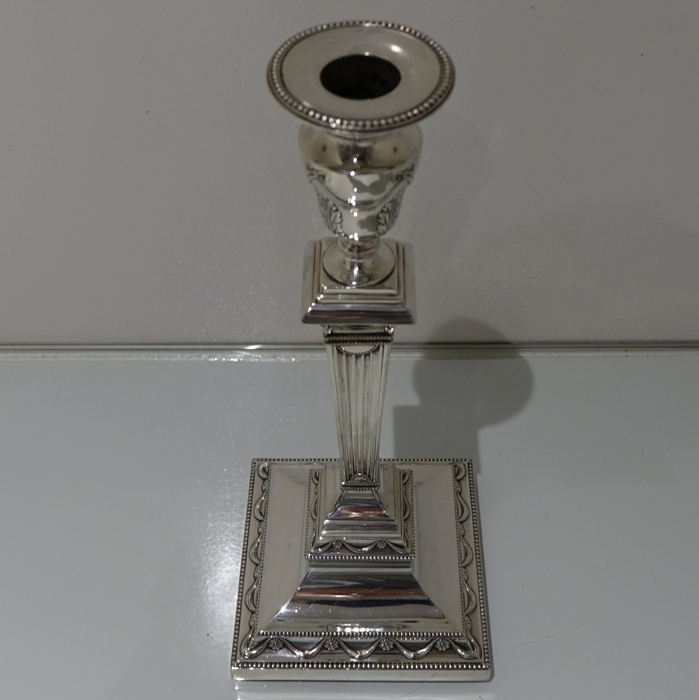 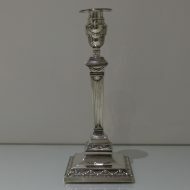 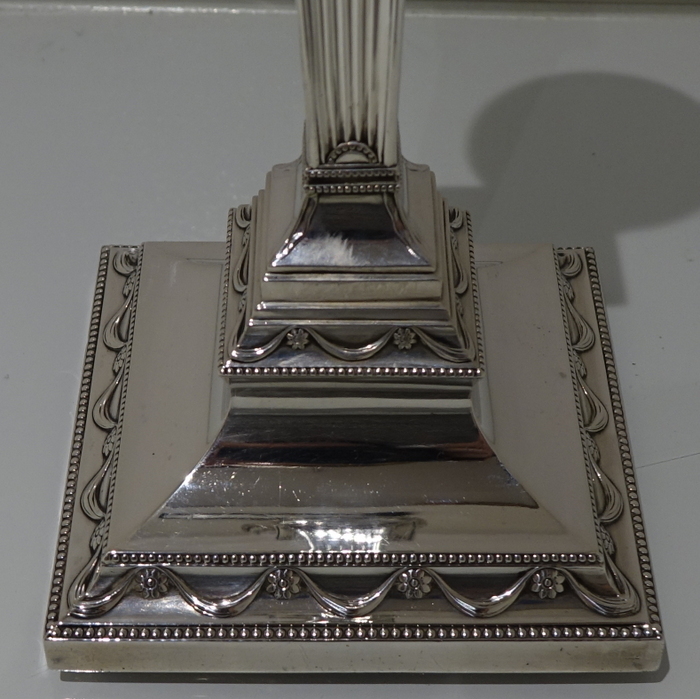 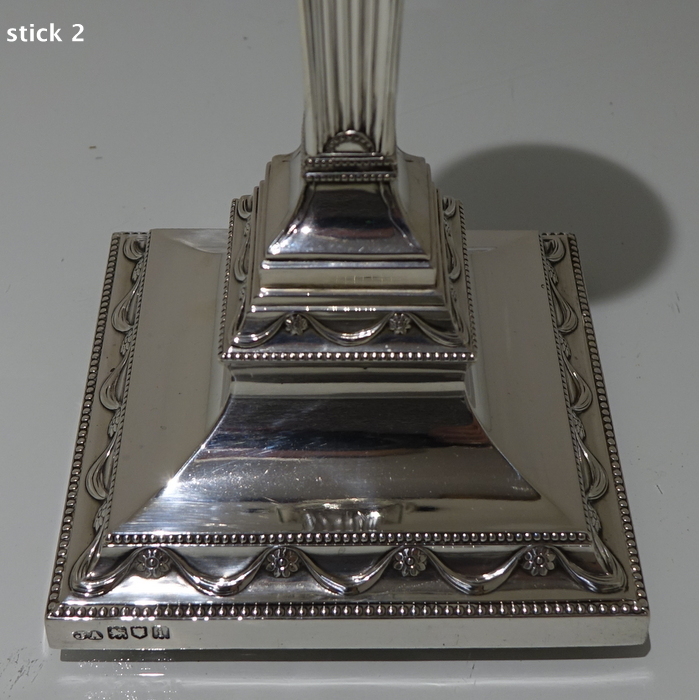 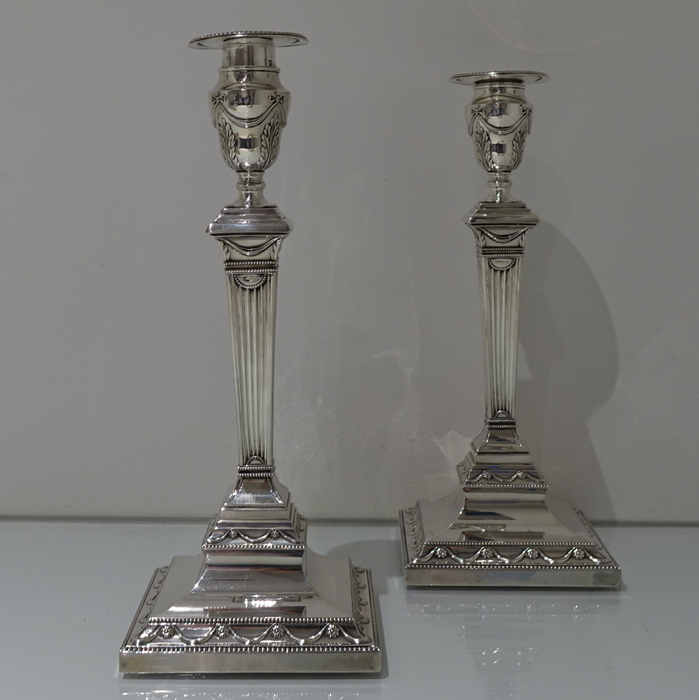 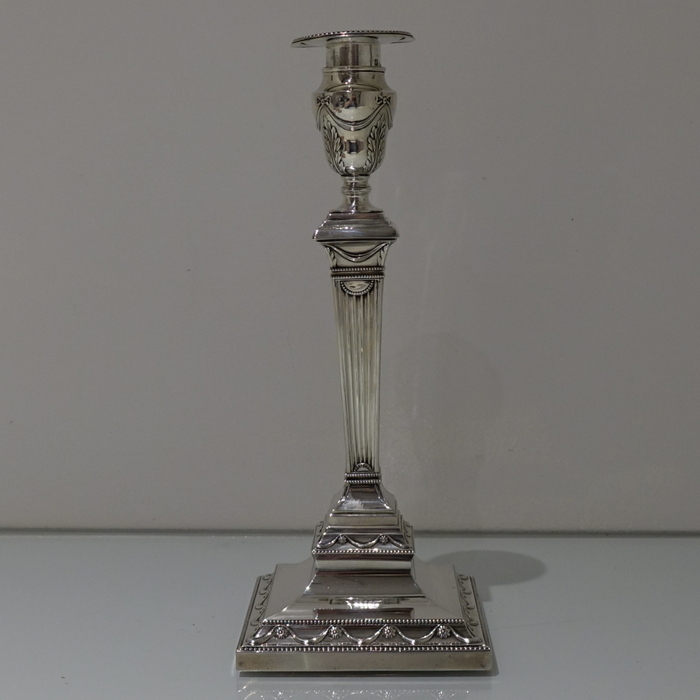 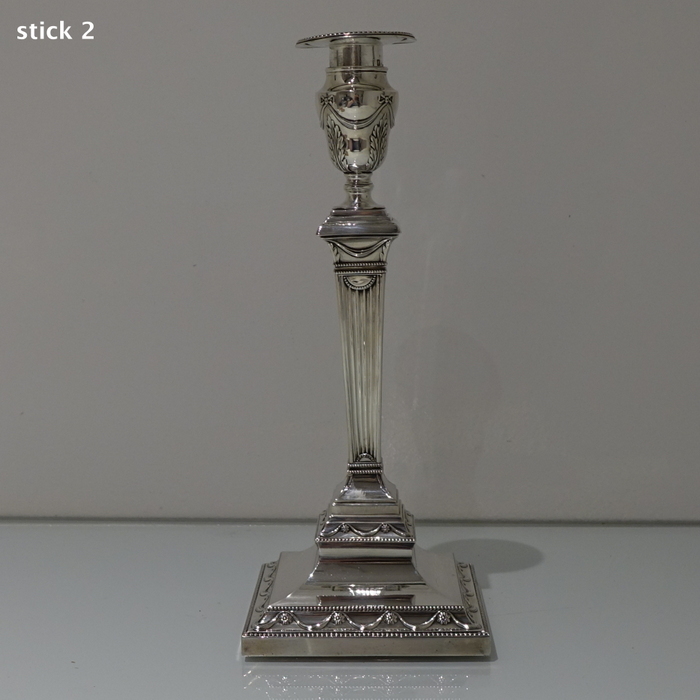 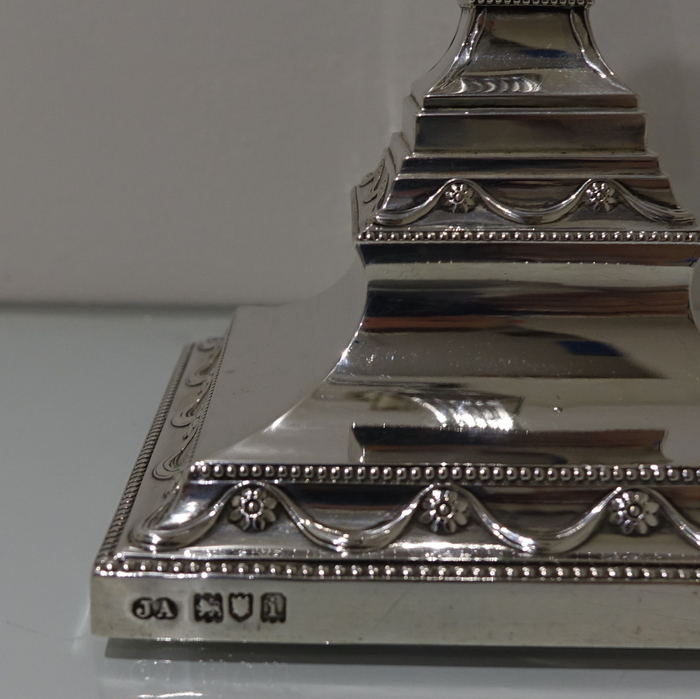 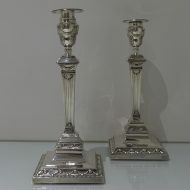 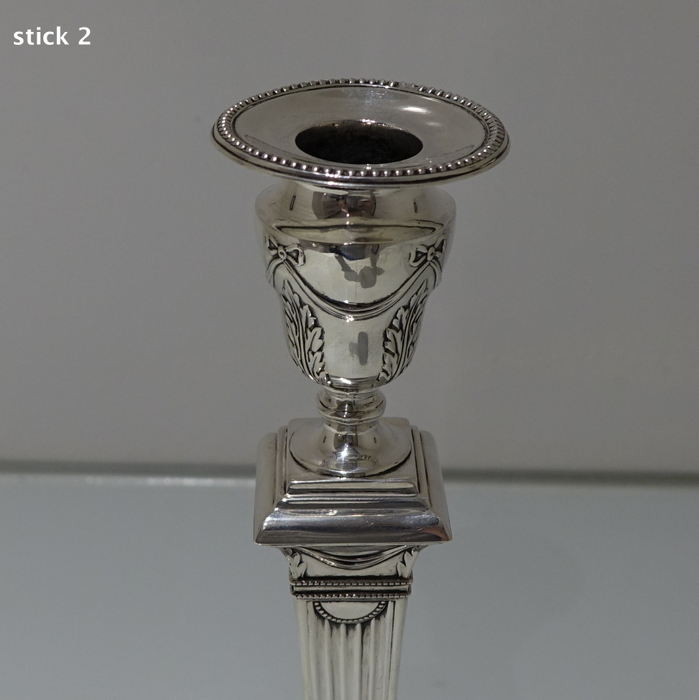 A very stylish pair of square based Edwardian candlesticks. 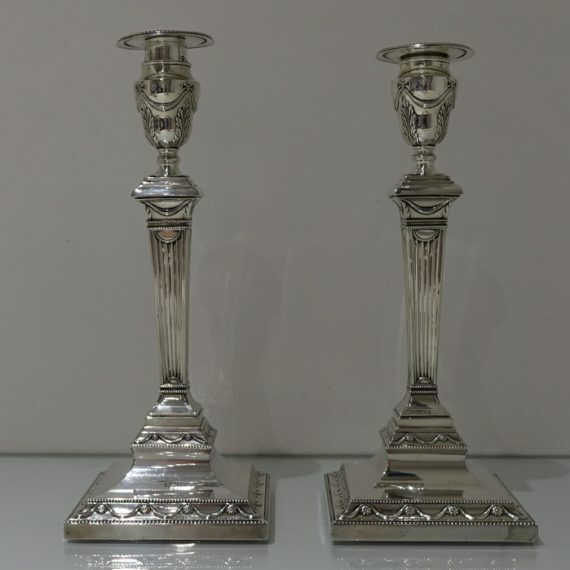 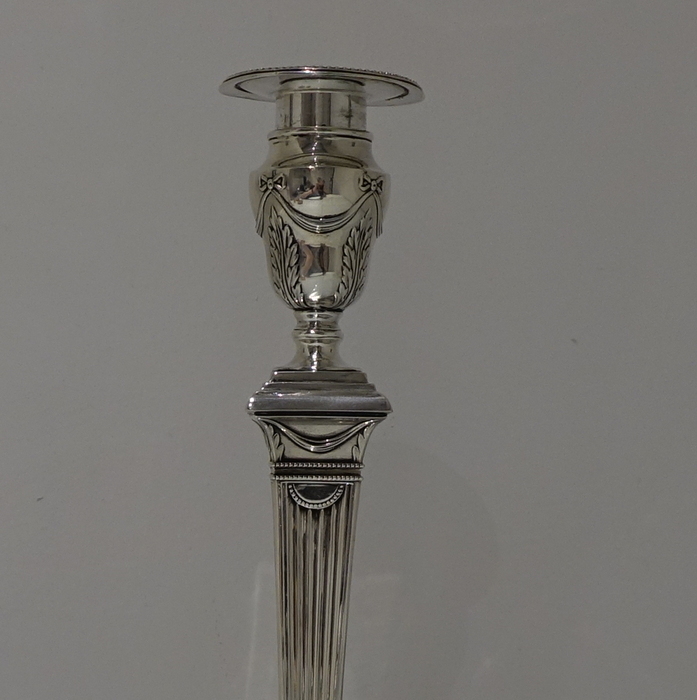 A very stylish pair of square based Edwardian candlesticks which are decoratively designed with interspaced bead borders, ribbons, bows and acanthus leaf workmanship. 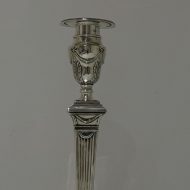 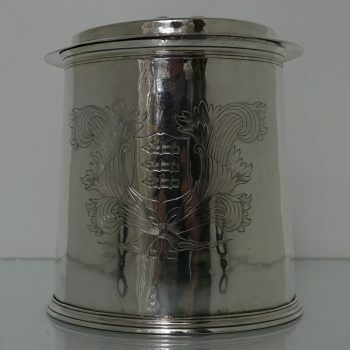 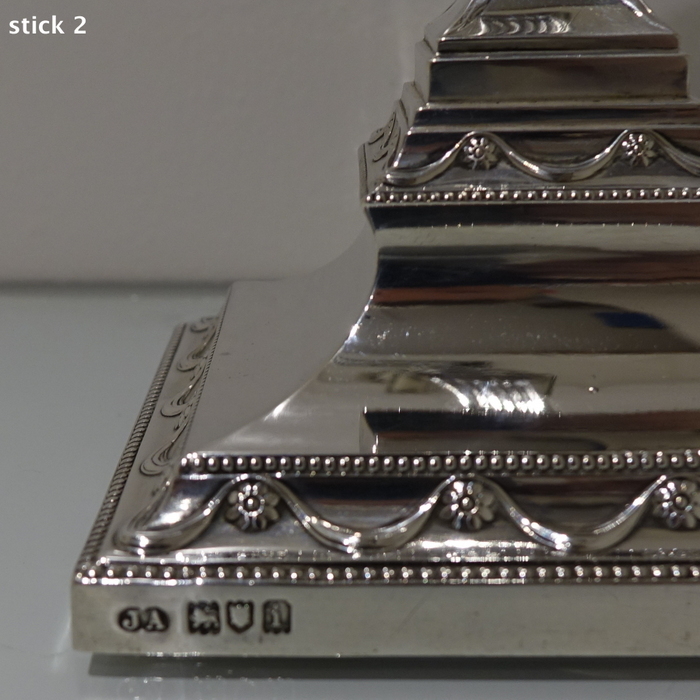 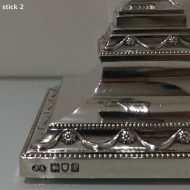 The columns have elegant fluting for additional decoration. 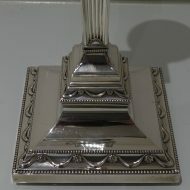 The sconces are detachable.